As a district STEM and Innovation coach, I have the fortunate opportunity to visit and see all things STEM. So often, as teachers, we are only aware of our own classroom and what is happening within our own school building. I would like to change that. Today’s guest post is from Ryan Remien, STEM teacher at Red Hawk Ridge Elementary School in the Cherry Creek School District. After the recent passing of General Leia (Carrie Fisher), Jill Berkowicz and Ann Meyer penned a thoughtful reflection for Education Week on Princess Leia as a model for educating and encouraging girls in STEM. 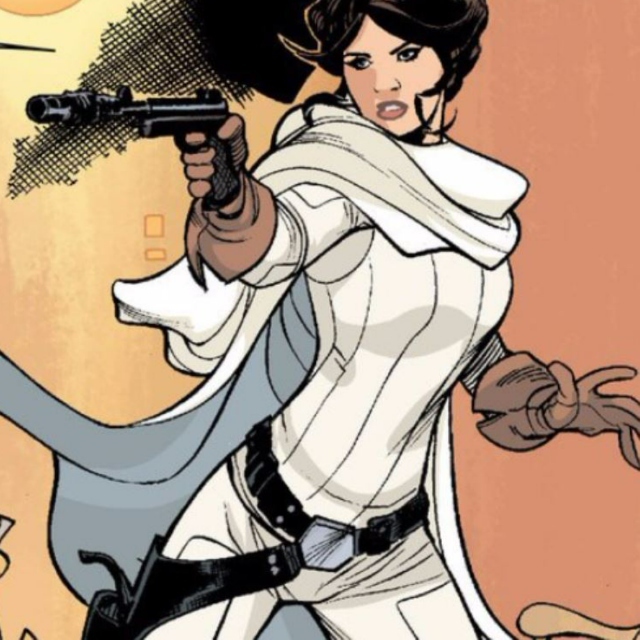 At the outset, the authors pointed out Leia’s role as a “wise, savvy, brave, intelligent heroine, who was unafraid of her personal power and was fueled by her wisdom and courage.” The article recognized Leia’s influence in attracting girls to science, and the character’s own leadership, ingenuity, and strengths in a gender-dominated universe perhaps similar to existing STEM workplaces. The suggestion was rightly made that we need more ‘Leia’s’, more “intelligent, savvy, fearless young women” to be encouraged and supported through STEM education to realize their awesome potential. Any die-hard Star Wars fan will tell you the Rebel Alliance doesn’t work without Leia. And if we continue to draw parallels between Leia and girls in STEM, it’s fair to ask: Does the future of STEM work without (more) girls? In a fact sheet from the White House Office of Science and Technology, it was reported there could be as many as 2.4 million STEM jobs unfulfilled by 2018. This number is alarming in and of itself, but increasingly so when considering the compounding factors of opportunity gaps for traditionally underrepresented groups in STEM professions. 70% of college students are women and minorities, but only 45% of all STEM degrees awarded go to these underrepresented groups. Maybe this gap in unfulfilled jobs is erased if more girls are encouraged to pursue STEM careers, educated in a manner preparing them to succeed, and supported in STEM workforces through fair and equal opportunities to advancement, recognition, and compensation. Unfortunately, there is no silver bullet blaster bolt to quickly close these gaps. From their answers, you can sense a bit of fearlessness present in their approach to learning. From observation, intelligence is apparent in their work. Savviness is apparent in their problem-solving. So what happens between now and graduation from university? What is turning girls away from STEM professions? What can I do, right now, today, in my classroom to set them on a path ending where their passions lay? How am I individually, and as part of a larger educational institution contribute to the lack of passion as students move through K-12, and how do I remove those barriers and bias that contribute to so large a gap? This spring I will be working with STEM coaches in Cherry Creek School District to implement a STEAM club for girls after school. The goal is to create a space that will offer girls a chance to explore STEM and interact with female STEM professionals through real world problem solving and application. We will meet with a professional, create a project inspired by said professional, and then showcase our learning at a year-end celebration. Our hope is to encourage and empower girls through their work and the knowledge that their passions can result in an exciting career. Maybe we’ll find, in part, answers to the questions raised above. They are questions we need to start answering, because we need more girls in STEM. We need more girls to ask and answer the questions that will drive innovation and change. We need girls with courage, savvy, and fearlessness. My role is to be thoughtful in how my actions and attitudes as an educator affect the development of the incredible girls I have the privilege of teaching every day. I’ll be a guide, coach, teacher, learner, rebel (too short to be a stormtrooper), and fan on their path to STEM success. Right now, that path is a bit hazy. A bit dark. No idea what we’ll see along the way or what we’ll find on the other side. But I’ll trust in the passions I see in my girls, and will follow their lead. There’s really only one obvious choice of what to do next.